Chal Panchida Re Rajasthani Video bhajan. This Rajasthan song is a popular old song of Rajasthan. Original Chal Panchida song has been sung by Bhagwan Sahay Sain while this song has been sung by Rani Rangili and Laxman Singh Rawat in a remix version with different lyrics. Definitely, you will enjoy the song here on Marwadisong.in. 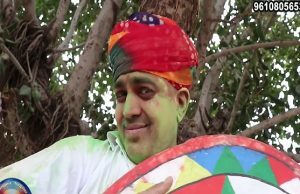 Click to watch Chal Panchida Re Rajasthani song. You can also enjoy Rani Rangili’s other hot songs on the site by searching Rani Rangili in the above search box.